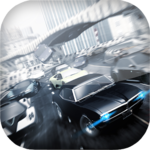 King Of Racing Reborn 2K19 — Android App Sold on Flippa: BUY IT NOW! and get total 4 premium games, one hour left! BUY IT NOW! and get total 4 premium games, one hour left!